What does having hypertension mean? Blood pressure (BP) is the measurement of the arterial pressure when the left ventricle of the heart contracts (systolic BP, SBP) and relaxes (diastolic BP, DBP) while pumping blood through the body. It is measured in millimetres of Mercury (mmHg) and is often taken using the brachial artery just above the crease of the elbow. The automatic BP cuffs that you see in stores like Shopper’s Drugmart are not as reliable as the Sphygmomanometer that your Medical or Naturopathic Doctor uses because the cuffs are not individualized to the person’s arm size. Does the lack of disease mean I am healthy? Idiopathic HT is not usually associated with any symptoms and therefore annual check-ups with your MD and ND are very important. 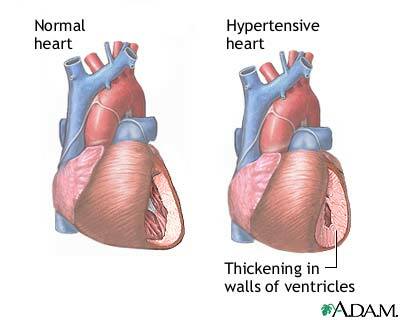 Due to the lack of symptoms and disease, this “HEALTHY HYPERTENSION” can be deceiving because despite individuals feeling ‘healthy’, physiological changes are occurring in the body. Hypertension does not indicate disease, but it can signal that the body is not functioning optimally and the patient has an increased risk of developing other conditions. The body is intricate, complex and smart. The innate nature of the body is amazing. Without thinking, our bodies will make adjustments to keep critical organ systems functioning and the body in homeostasis, or balance. For example, a person who becomes overweight has gained more body mass and therefore requires more blood, flowing at a stronger pressure (increased blood pressure!) to get the blood to all areas, including the extra tissue. Signal for the renal/ kidney system to excrete more urine – to lower the blood volume and pressure, but can put heavy stress on the glomerular filtration system and ureters. If you believe that you are at risk of developing more serious conditions due to high blood pressure or other symptoms, please see your Medical and Naturopathic Doctor for co-managing strategies. Do you have any questions, comments, or suggestions about my post? Please leave your comments below. Feel free to email me (Contact@DrAlisonChen.com) or visit your Naturopathic Doctor for more information. Don’t forget to see my follow-up post on Hypertension Meds and Naturopathic recommendations.